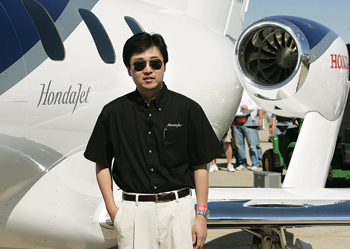 1997: Michimasa Fujino first sketches out the design for the HondaJet. 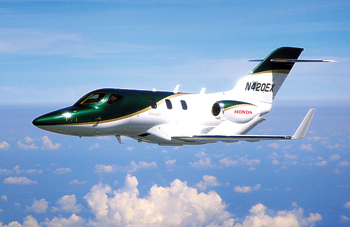 2000: In October 2000, Honda R&D Americas establishes a research facility at the Piedmont Triad International Airport (PTIA) in Greensboro, North Carolina, for the purpose of researching, fabricating, and flight testing the HondaJet. 2001: Patent obtained for HondaJet unique Over-The-Wing Engine Mount configuration. 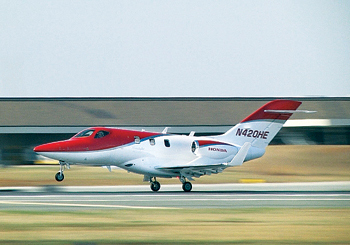 2003: HondaJet takes its first test flight on December 3, 2003. Days later, Honda makes a public announcement of this achievement. 2005: HondaJet makes its public world debut on July 28, 2005, at EAA AirVenture 2005 in Oshkosh, Wisconsin. 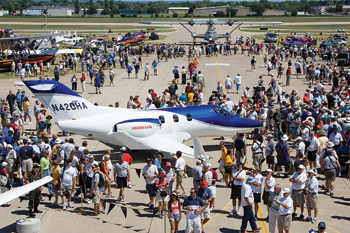 2006: Honda announces July 25, 2006, at EAA AirVenture 2006 in Oshkosh, Wis., that it will commercialise the HondaJet. Honda Aircraft Company is established in August 2006 with the responsibility for Honda's overall airframe business strategy and the further development, sales promotion and production of the innovative HondaJet. Honda Aircraft Company begins HondaJet sales at the National Business Aviation Association's Convention and Exhibition (NBAA) in Orlando, Florida, on October 17, 2006. 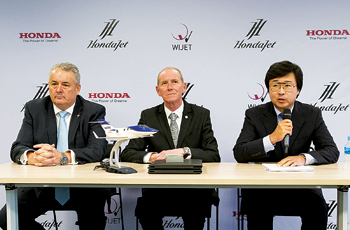 The company announces the HondaJet will be powered by the GE Honda HF120 turbofan engine. 2007: Honda Aircraft Company announces February 9, 2007, that its world headquarters, R&D centre and production facility will be located at the Piedmont Triad International Airport (PTIA) in Greensboro, North Carolina. Honda Aircraft Company breaks ground on June 27, 2007, for a new world headquarters, R&D center and production facility. 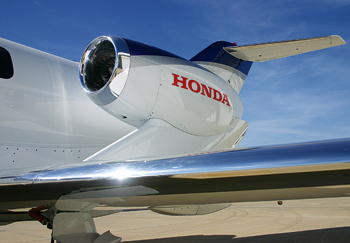 2008: In May, Honda Aircraft moves into its new world headquarters at the Piedmont Triad International Airport. The complex spans 68,000 square feet. 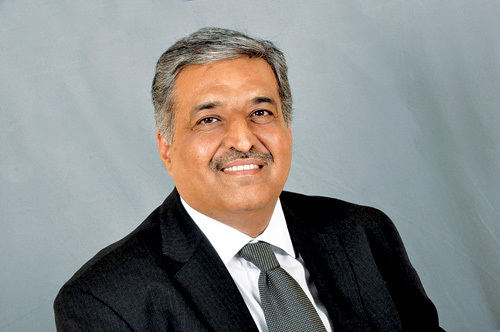 In December 2008, Honda Aircraft Company completes construction of a new, 1,87,000-square-foot R&D center located on the company's campus at PTIA. 2010: On December 20, 2010, Honda reaches a significant milestone in its aerospace programme by achieving first flight of the first FAA-conforming HondaJet. 2011: The first FAA-conforming HondaJet achieves a maximum speed of 425 KTAS at 30,000 feet and Mach 0.72 above 30,000 feet in flight testing on March 11, 2011. 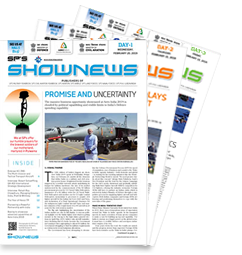 This achievement surpasses Honda's performance commitment to customers of 420 KTAS for the production aircraft. 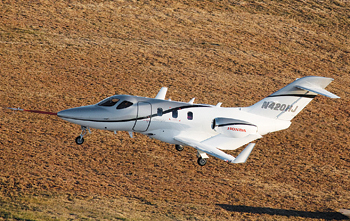 On April 27, 2011, the first FAA conforming HondaJet achieves its maximum operating altitude of 43,000 feet. 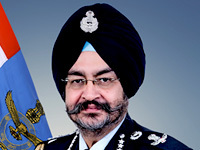 The aircraft's maximum climb rate of 3,990 feet per minute is also confirmed. 2012: On September 27, 2012, Honda Aircraft breaks ground on a new Customer Service Facility at its world headquarters in Greensboro, North Carolina. The facility is scheduled to open in 2013. This expansion will bring the company's total campus footprint to more than 6,00,000 square feet and more than 130 acres. 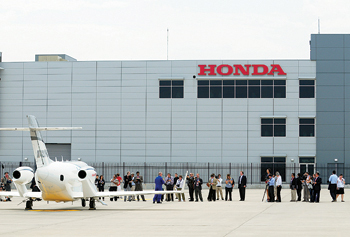 In the second half of 2012, Honda Aircraft begins HondaJet production. 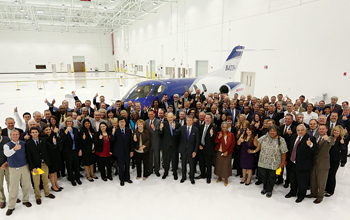 2013: On October 17, 2013, Honda Aircraft Company's new customer service facility opens. On December 20, 2013, the Federal Aviation Administration issues Type Inspection Authorization for the HondaJet. 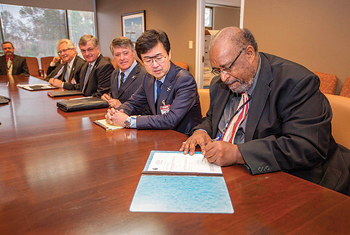 Honda Aircraft Company's customer service facility receives FAA Part 145 repair station certification. 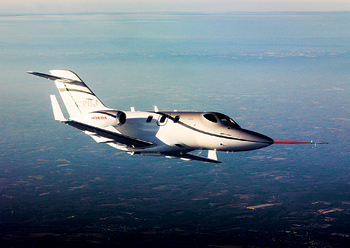 2014: The first production HondaJet achieved its initial flight on June 27, 2014. 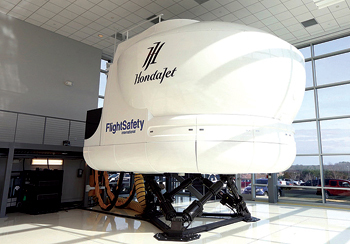 2015: HondaJet flight simulator arrives at Honda Aircraft Company in February. The HondaJet receives provisional type certification from the United States Federal Aviation Administration on March 27, 2015. The HondaJet receives final type certification from the United States Federal Aviation Administration on December 8, 2015. Honda Aircraft Company delivers the first HondaJet on December 23, 2015, just two weeks after receiving US Federal Aviation Administration type certification. 2016: On March 4, 2016, the HondaJet receives type certification from the Civil Aviation Safety Authority of Mexico. 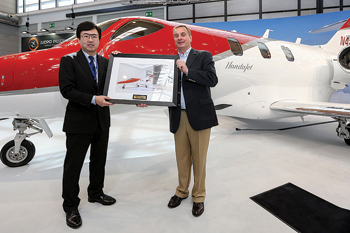 Honda Aircraft delivers the first HondaJet in Europe. The HondaJet receives type certification from the European Aviation Safety Agency on May 23, 2016. Honda Aircraft Company receives a Production Certificate from the Federal Aviation Administration. HondaJet sets two speed records in its class over two recognized courses from Teterboro, New Jersey to Fort Lauderdale, Florida and Boston, Massachusetts to Palm Beach, Florida. 2017: Honda Aircraft Company announces HondaJet sales in Southeast Asia through Thailand based dealer. 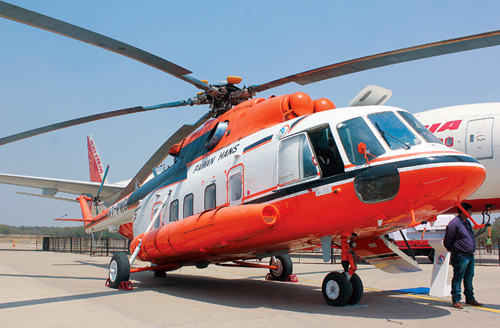 Honda Aircraft Company formally announces China dealer at Guangzhou providing sales, service support to China, Hong Kong and Macau. HondaJet customers embark on 80 day around the world tour. HondaJet awarded Type Certification in Canada and Brazil. The HondaJet set various speed records in its class during 2017; Miami, Florida to Panama City, Panama; Greensboro,North Carolina to Dallas, Texas; Dallas, Texas to Phoenix, Arizona; Pensacola, Florida to Greensboro, North Carolina; and Keflavik, Iceland to Lisbon, Portugal. 2018: HondaJet China Holds Opening Ceremony at Guangzhou Baiyun International Airport on January 26, 2018. French air taxi service provider Wijet commits to upgrading its business jet fleet with the HondaJet on February 8, 2018.